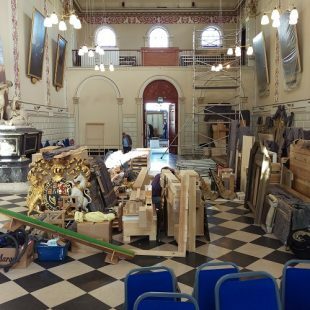 The organ in the public theatre, unassembled! The organ in the public theatre, awaiting assembly! !